So in the aftermath of the collapse of New International and the ensuing scandal wherein it was shown that New Scotland Yard and some of it senior officers were on the “Payroll” of the disgraced media group. It’s imperative that we now begin to ask the same searching questions about City Of London Police and their “cosy relationship” with some of the big city firms such as Guy Carpenter and Kroll. Clearly after the collapse of court case brought by City Of London Police against Ian Puddick it now seems prudent to begin to seek the answers which are on all our lips. 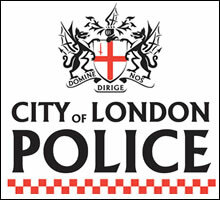 What exactly is the relationship between Kroll (the city investigators) and The City Of London Police? This is fundamental question given that Kroll seem to be able (As they did in the Ian Puddick case) to be able to “order” Raids and other terrorising tactics apparently using City of London Police as their “agents” to carry out such atrocities against the people of Britain. Who pays for Krolls instructions to the City Of London Police?